Hello and thank you once again for joining us down at the crossroads for some music, magick, and Paganism. Where witches gather for the sabbath, offerings are made, pacts are signed for musical fame, and we usually cross paths with today’s most influential Pagans, occultists, and deep thinkers, but tonight that isn't happening because it's minisode time! 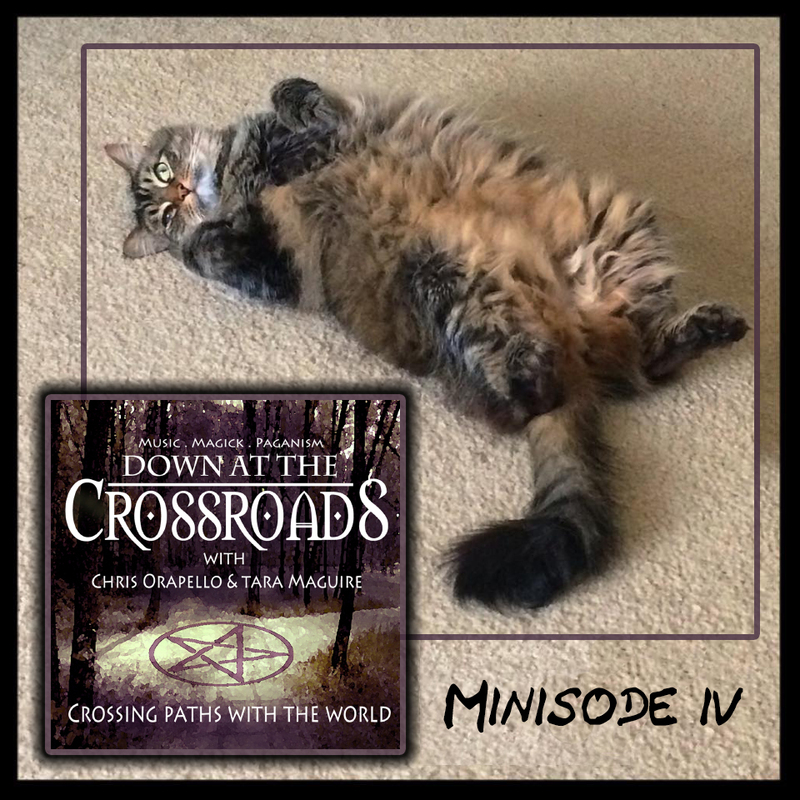 I am your bewitching, bald headed, host Chris Orapello and tonight Tara and I sit down to discuss spell-work, favorite spells, spell mistakes, backfires, and even mishaps. Along with our main topic we'll be discussing updates regarding us, the show, our book, as well as reading listener email and during the episode we even make a quick phone call with Australian visionary songstress Wendy Rule to talk about her Full Moon Magic live stream concerts. All in all, it’s another good time and we hope you enjoy it. How do you define/explain what a spell is? What are your favorite go-to “back pocket“ spells? What was your first spell?